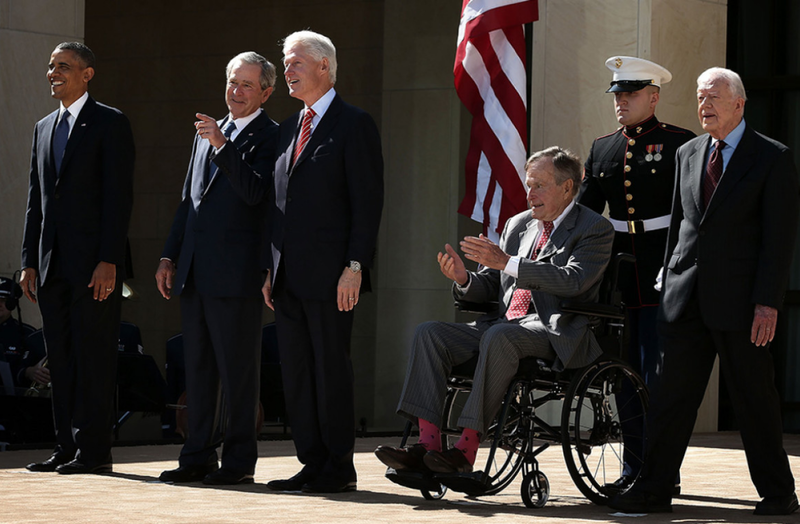 In the current leadership void, all living ex-Presidents gathered on September 7 to encourage the nation to help in hurricane relief efforts. Left to right: Barack Obama, George W. Bush, Bill Clinton, George H.W. Bush, and Jimmy Carter.